NCHM JEE 2016 started on April 30 at 10 am in 33 cities across the country, with around 20,000 candidates appearing in the exam. The entry of the candidates to the exam hall started at 9 am. However, some students were allowed to enter the examination centres even after the test had started. The national level test, which is of 3-hours duration, continued till 1 pm. The National Council for Hotel Management and Catering Technology (NCHMCT) is conducting NCHM JEE 2016 for admission to 52 institutes of hotel management (IHMs), including 21 Central, 16 State Government and 15 private institutes, offering around 8,000 seats. Careers360 brings you the live moments from the NCHM JEE 2016 venues. 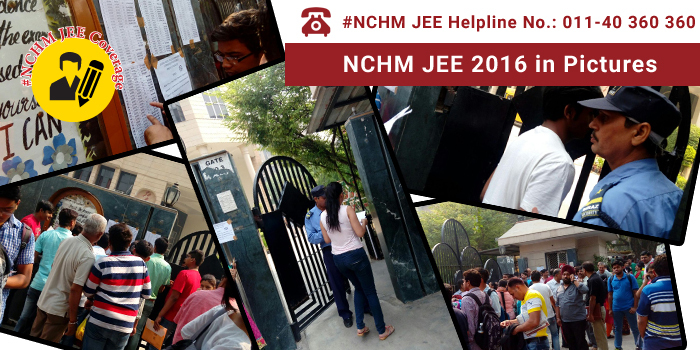 Scroll below to glance through the NCHM JEE 2016 in pictures.